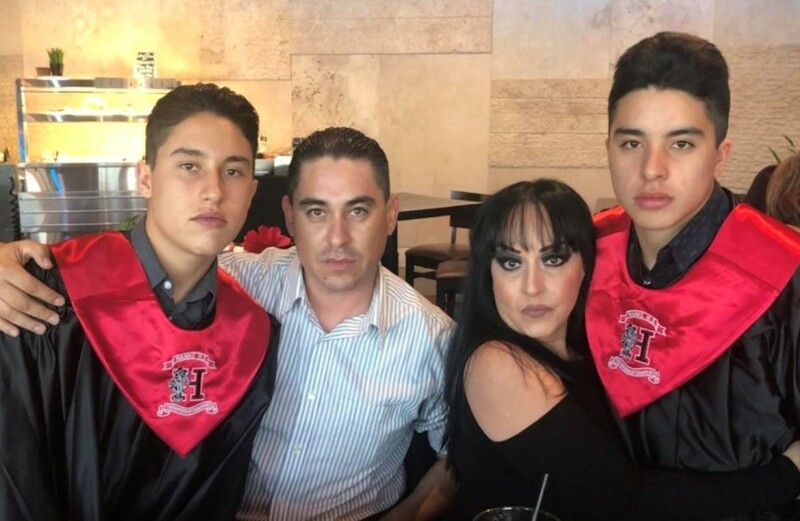 Alex Leyva: Alex is the PROUD dad of a person who stutters, he is married to Julie and is an assistant to the El Paso NSA Family Chapter. He recently became involved and is actively participating in the United States NSA Military Support Network to create awareness within the military. Alex owns a general contracting and maintenance business. Darian Leyva: Darian is the PROUD twin brother of a person who stutters. At 18 years old, he graduated from high school this past June and has made the brave choice to serve his country in the ARMY National Guard. Darian is an assistant to the El Paso NSA Family Chapter and is a huge supporter of the United States NSA Military Support Network. Darian’s goal is to create an awareness about stuttering for our military forces. Diego Leyva: Diego is an 18 year old person who stutters. He recently started his college career and is determined to graduate with a business degree. His goal is to open his own business in the restaurant industry. Diego is the Co-Chapter Leader of the El Paso NSA Family Chapter. His sense of community is to offer support and guidance for children and teens who stutter. Julie Daskalakis: Julie is the PROUD momma of a person who stutters. Her son is 18 years old and just started college. Julie is an active member of the National Stuttering Association and is dedicated to serving the local stuttering community. She is the Chapter Leader of the 1st NSA Family Chapter in El Paso, Texas. Her son, Diego, is the Co-Chapter Leader. Julie also serves as a member of the United States National Stuttering Association’s Military Support Network. When Julie is not dedicating her time to her family, she manages a full time job in the insurance industry. This video depicts the family of a young man who stutters who wants to serve his country by enlisting in the United States Army National Guard. The parents and brother speak their mind about the importance of not letting a stutter limit one’s career goals and lifelong dreams. I love it how you support each other as a family and turn stuttering into something just being a part of us. We should stop judging each other on how we look, how we speak, and instead focus on how we act and who we are as a person. You are a true example of stuttering pride, an earlier ISAD theme. A salute you and wish you all a safe service. Happy ISAD and keep talking. Thank you for your comment, Anita!! Through our stutteting journey, we have learned that acceptance is key! And we can’t accept it unless we talk about it! I always tell my children that our actions should always speak louder than our words! My son, PWS, is a true Warrior and I admire him greatly! We are all here to support him and our family as we grow and learn from our journey. Best of everything to you! It was great to see you at the NSA military support workshop. The people in that room are living proof that people who stutter can and do succeed in the Armed Forces. Thank you for your comment, James! My son is truly a courageous and brave young man! And we’re all here to support all who are going through their stuttering journey. The NSA Military Support Workshop was one of the best we attended at the conference! My sons and I greatly enjoyed it! Thank you for your presentation. As a speech-language pathology graduate student and a military spouse, I certainly appreciate all that you guys are doing to support individuals in the military. What are ways that we as professionals can support your efforts? In addition, are there was that we as military spouses can support your efforts? Thank you for your comment, KristaH!! You bring the best of both worlds to the stuttering community!!! As an SLP with direct ties to the military, please help us spread the word and educate our military forces on everything about stuttering. Education and acceptance is what our military forces need, so that our PWS can use their bravery to serve & protect! Please check out the NSA’s Military Support Network Facebook page for more info. Blessings! Thank you for the recommendation. I will take a look! I really connected the experience you shared about how you grew to understand your son’s needs as an individual who stutters. You mentioned that speech therapy was helpful, however counseling had the biggest impact for your son. As an SLP graduate student, I previously adopted the mindset that speech therapy is the most important way to treat stuttering. However, I have come to realize that this is not the case. Stuttering extends so far beyond the moment of actual stuttering. Thank you for sharing this reminder with me because I will carry this consideration with me as I treat future clients. Thank you for your comment, Leilasamaha! Reading your thoughts on stuttering, speech therapy and how your thoughts have changed brought a smile to my face! You are right on track because stuttering is so much more than a speech impediment! It is emotional and it greatly affects a PWS in every way possible! And I wholeheartedly believe that talking about it is only the beginning in our journey towards acceptance. You are now part of the movement! Best of success to you!! Thank you for your comment, Leilasamaha! Reading your thoughts on stuttering, speech therapy and how your thoughts have changed brought a smile to my face! You are right on track because stuttering is so much more than a speech impediment! It is emotional and it greatly affects a PWS in every way possible! And I wholeheartedly believe that talking about it is only the beginning in our journey towards acceptance. You are now part of the movement! Best of success to you!! Thank you again! I am so happy that you were able to make this video and involve the whole family. I think this is the first time ever we’ve had something about the military represented here and the fact that it’s from the perspective of a whole family is just so important. This video and your advocacy and outreach is so important so that young men and women thinking about the military as a career don’t automatically say ‘No” I can’t do that just because I stutter. The military needs some education and awareness about stuttering to help remove some of the antiquated views about stuttering being a “medical disqualifier.” I am glad we are moving in a direction that our efforts are going to change perspectives and change lives in the process. Thank you Julie and Alex for your relentless efforts as parents to be the change you want to see. My dearest Pam, thank you for your beautiful words! Your post resonates so much with us. As my son begins his college career, you have no idea how many careers he’s already discarded because of his stutter! Including, unfortunately, his heartfelt desire to serve. I am hopeful that this is the beginning of a movement; a much needed change in the professional world. Let us, as Pioneers, set the path towards acceptance! Not just for PWS to reach acceptance, but for all of us as a whole! You, my beautiful, are an inspiration and you have my immense admiration! Blessings to you! First off, I would like to thank your boys for wanting to joining the Armed Forces to fight for our lives and our freedom. Secondly, thank you for sharing such an incredible video. I am a second year speech language pathology graduate student and one of my dreams jobs is to work with veterans to give back to them, after all they have given for us. As a future SLP, what can I do to help individuals just like your son not be discouraged from following their heart and continuing down the path they always hoped for? I know that acceptance is a big part of this. Helping others understand that stuttering does not impact an individual’s ability to complete what they strive to do. Did you son have therapy for his stuttering in school? If so, was there something more that you wish would have been done for your son during therapy? Again, thank you for sharing your story. After hearing this I will strive to help people understand more about stuttering. Thank you for sharing your powerful perspectives on this issue of stuttering in the military! I have to admit that I had never considered this perspective before. I had no idea that stuttering was a hindrance in someone’s ability to serve their country. I love how you said that the biggest grievance you could commit as a parent was to remain silent. Your son is lucky to have such strong advocates for him and I wish that every PWS had the strength behind him that your son has. It sounds like your son is a very strong brave individual and has not let stuttering be a hindrance that will stop him from pursuing his individual dreams. This message you are spreading is very important and I will do my best to perpetuate it throughout my journey to becoming a speech language pathologist. Thank you for sharing! What a beautiful family! I enjoyed hearing each of your perspectives on Diego’s journey as a person who stutters. I am a second year SLP graduate student and hearing Julie say that she felt she had failed her son by not finding resources outside of speech therapy hit home with me. In speech pathology, we are very much taught the techniques and strategies to create fluent speech, but it becomes easy to overlook the extra pieces that a person needs. When I work with stuttering clients in the future, I want to be sure that I can help the family as well as my client find the resources and tools they need and refer them appropriately. With that being said, what types of resources and help do you wish you had outside of speech therapy? Tiffany, thank you for your comment! I greatly appreciate your understanding of the emotional side of stuttering: it is quite a journey! As a family, I wish we had known sooner about the National Stuttering Association. It certainly would have helped us a lot earlier to reach acceptance, rather than a ‘cure’ or wait for our son to ‘outgrow’ his stuttering…only to find out that’s not the way it works. In addition, emotional understanding and management would have also prevented a lot of pain that we have gone through. Although it’s made us stronger as a family and has made my son a Warrior, a little more support from the stuttering community would have been very beneficial. Your commitment will undoubtedly make it easier for our PWS! Blessings to you!! I have never thought about this. This was extremely eye opening to me because i have never thought about this topic. I am glad you guys are so supportive and loving! i would love to see the progress and how successful he becomes!